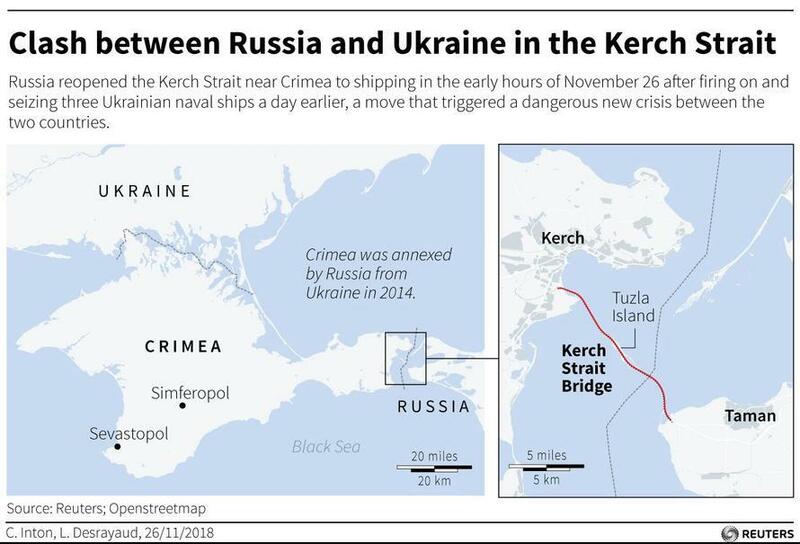 President Petro Poroshenko said during a Tuesday Ukrainian television interview that the threat of "full-scale war" with Russia could be imminent as tensions rise following the Russia-Ukraine incident near the Kerch Strait on Sunday. The Ukrainian president added that "the number of units that have been deployed along our border – what's more, along its full length – has grown dramatically." He ultimately concluded that the military buildup meant that the country is "under threat of full-scale war with Russia." “I don’t want anyone to think this is fun and games,” he added. Despite his sarcasm, it's doubtful that anyone sees the dramatically escalating events in the Black Sea as anything less than intensely dangerous and carrying the potential for outbreak of war. On Tuesday Britain announced it is dispatching the HMS Echo, a UK Royal Navy survey vessel and monitoring ship to the Black Sea, following Britain's leaders condemning what it described as Russian aggressive actions in seizing Ukrainian ships and their crew off the coast of Crimea, which the Russian Navy described as "maneuvering dangerously". A Ministry of Defence statement said the reconnaissance ship would “demonstrate the UK’s support to ensuring freedom of navigation”. Thus it appears Poroshenko is justifying the imposition of martial law based on the mere possibility of a future war with Russia, though he'd previously claimed "martial law doesn't mean war" upon first making the announcement. 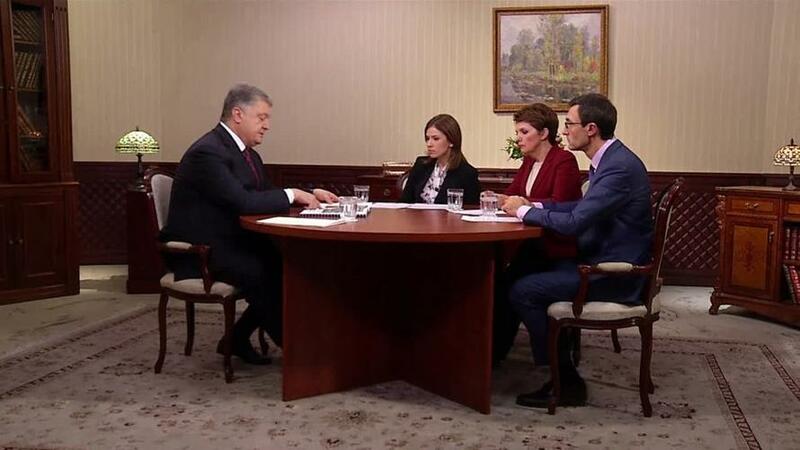 Poroshenko's plan to impose martial law had been announced and approved Monday, and during his address on national television, the president said it will begin at 9 am local time on Nov. 28 and continue at least until late January. Ukrainians are expected to vote in a presidential election in March. Though it appears for now that a shooting war has been averted, the mobilization of Ukrainian troops on its border with Russia certainly doesn't bode well for peace. The incident has sent the Russian ruble sliding against the dollar, as the sanction fears join concerns about the recent dramatic slump in global oil prices.